A group of scientists with the National Institute of Water and Atmospheric Research (NIWA) was studying a sample of seal poop to learn more about the health and diet of leopard seals when they came across something rather unusual embedded in the sample. The sample had been collected from the South Island of New Zealand in November 2017 and had been frozen since then, so the team figured there was no possible way the USB stick could still be functioning or have retained any of its data — and yet somehow, it did. 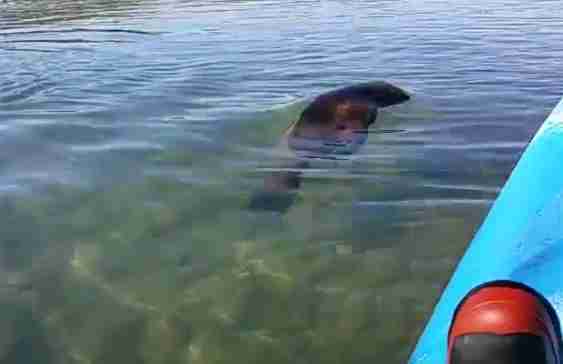 The stick was in shockingly good condition considering it had been sitting in seal poop for 14 months, and the scientists were able to recover someone’s vacation photos and videos from it. They began to actively search for the person who lost the USB stick, determined to find them, return their photos and share the incredible story of where their USB stick had been all this time. The NIWA posted one of the videos that were found on the USB stick on Twitter, in hopes that the owner of the video would eventually see it and recognize it. 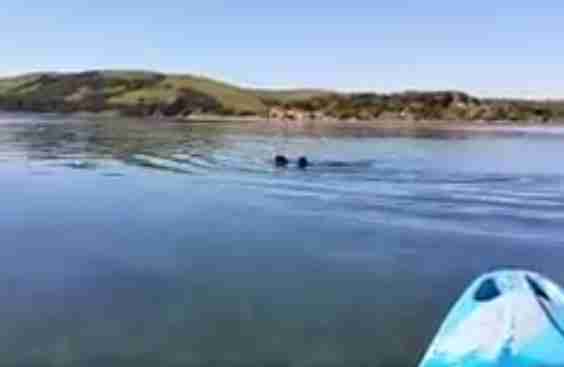 Funnily enough, the video shows a group of sea lions playing around in the water near the USB owner's kayak. As the person recorded the adorable encounter, they likely had no idea that, eventually, their USB stick would end up inside a similar animal. While the whole discovery has been quite amusing, it’s also disturbing that a leopard seal had something like that inside of him. The whole point of the NIWA’s study was to learn more about the health and diet of leopard seals, and realizing that they’ve been ingesting human waste is not a comforting thought at all. The NIWA recently tweeted that they may have found out who the owner of the USB stick is, but they haven't yet revealed their identity. Now, the question is, after hearing where their USB stick has been all this time, is the person in question going to want it back? Update: The person who lost the USB stick is a woman named Amanda Nally, who came forward after seeing the footage from her USB stick being shared all over the internet. She's a resident of New Zealand and a huge fan of seals and sea lions of all kinds, and works as a volunteer beach walker with the New Zealand Sea Lion Trust. She thinks she likely dropped the USB stick while walking along the beach near some leopard seals one day, and is still mystified as to how exactly the USB stick ended up in the seal poop.